I just want to make mention of my mates wife who passed away last week after her battle with cancer, rest in peace Kirsty and you will ever be in our memories. After the funeral on Tuesday everything was kind of surreal, when I woke on Wednesday morning it really didn’t feel too much like my birthday but I decided the best thing for me would be to get my work out-of-the-way quickly and go for a nice quiet Adelaide parklands hunt. I was enjoying the sunshine as my thoughts ebbed and flowed and to be honest I really didn’t care if I found anything or not, it was just so peaceful. The targets did start to flow and although there weren’t many they were certainly quite interesting. I found a small square plate that was too dirty to read, but considering that it had two small fastening holes there was a good chance that there would be something written on it. 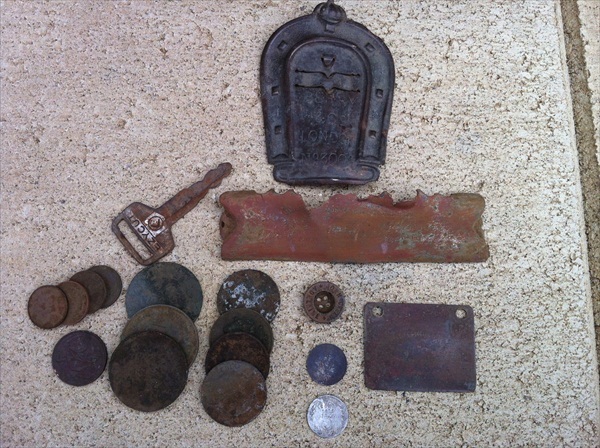 I found the usual coins and bits then an interesting plate surfaced with a jockey’s cap at the top and a horseshoe around the edge, with the words Perry & Co written on it. 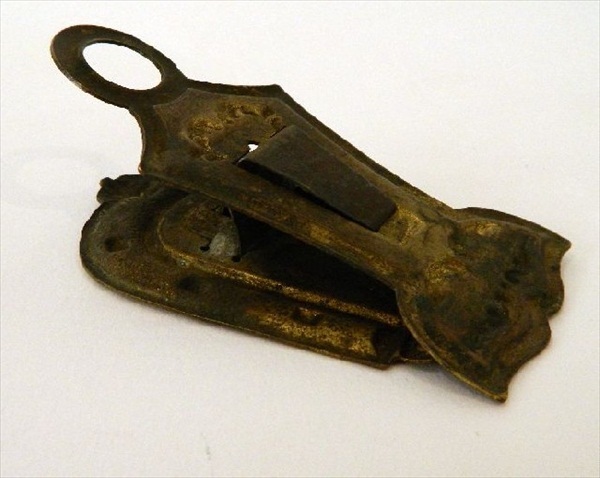 Turns out this is what was left of a A good luck brass paperclip by Perry & Co London. The second picture is what it should look like on the back but unfortunately the back was missing and I didn’t find it. 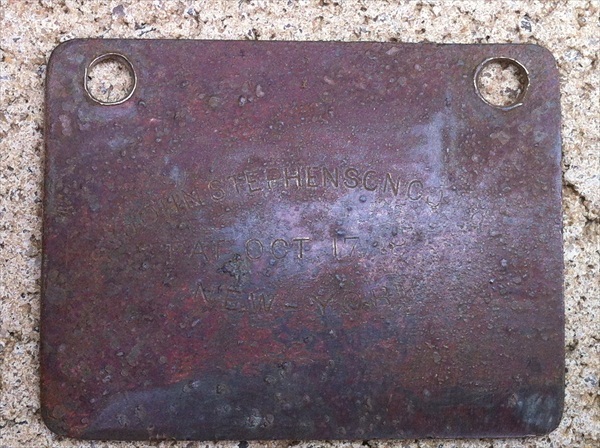 My favorite find for the day was the small plate which after cleaning revealed the words John Stephenson Co, Patent Oct 17 18? ?, New York and after a bit of Google magic and a brief but interesting history lesson it really shed some light on the area that I was detecting. When I had researched this area it often made obscure references to a tram line and also I did know of an area only a few hundred metres away where the first horse-drawn trams used to run through the Adelaide Parklands. 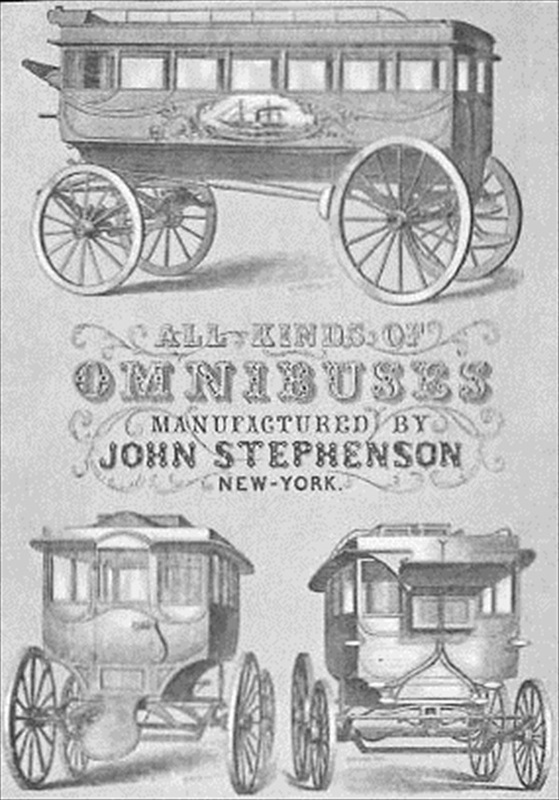 You see John Stephenson was a coach builder in New York and it was decided around 1876 that Adelaide’s first 20 horse-drawn trams were to be imported from John Stephenson instead of continuing to allow a couple of local coachbuilder Duncan & Fraser carriage builders the opportunity to continue building Adelaide’s coaches, this proved to be a costly mistake. The link below has the full story. 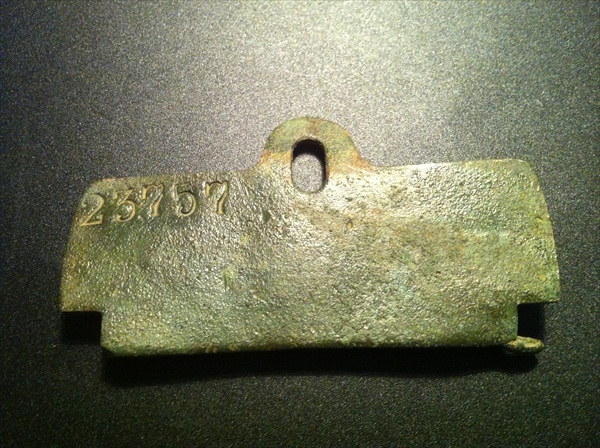 This was another great piece of South Australia’s early history unearthed, so I am now wondering if a plate I found a couple of weeks back was part of a tram as well, I have had no luck identifying it as yet. Happy hunting all and until my next blog stay positive, swing low and always be hopeful that your next target is something amazing. Here’s a thought for when you are wrong next time (because there’s always a next time), blaming is a recipe for disaster as it is a vote for things to stay the same, so stop blaming others and allow yourself to grow. 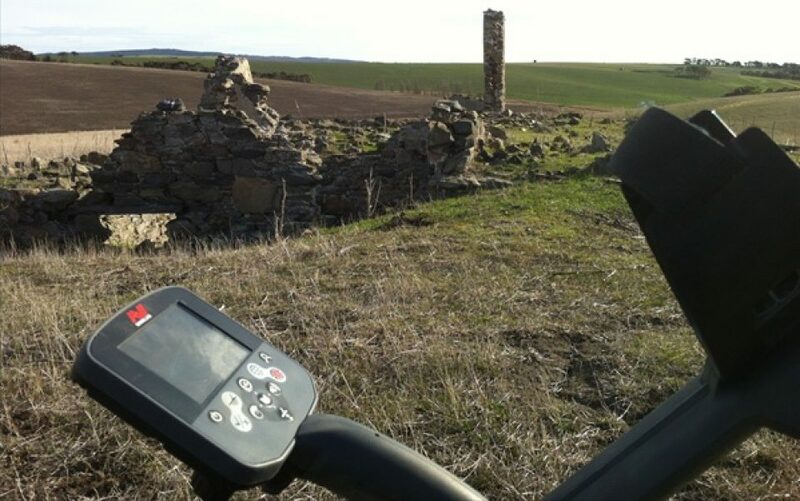 Back to the spot I hunted where we found the gothic florin and the Adelaide J Howell token for a few more oldies. 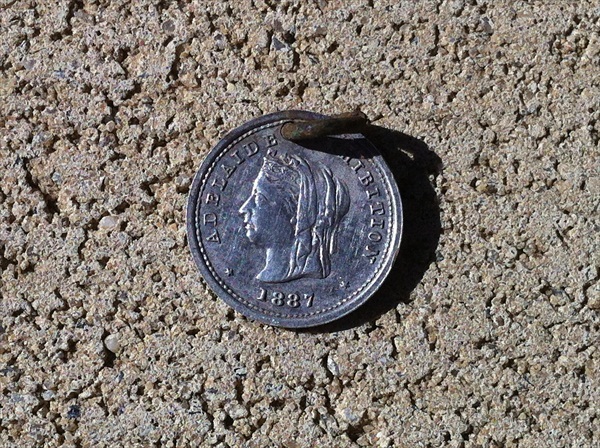 First target was an 1805 -1806 George III half penny not far from where I pulled the 1897 threepence a couple of days ago, it seems there are a lot of George III in South Australia. It was one of those hunts that just kept getting better and better as I locked onto another solid tone around 12:40 – 12:41. 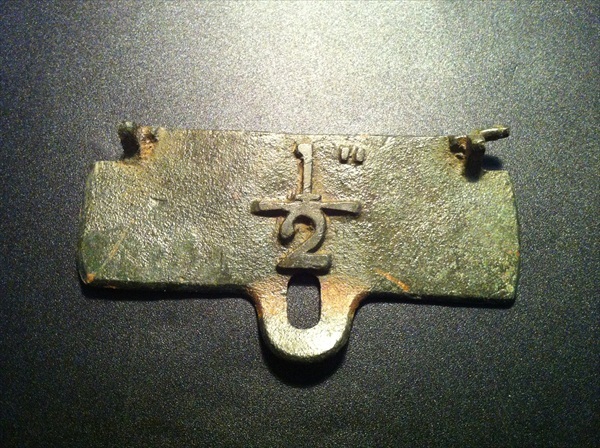 My thoughts were maybe it was a penny or shilling so I got to digging or should I say chipping away at the rock hard ground to reveal a really nice looking 1917 threepence. The day was starting to heat up with a forecast high of 29 degrees and I could really feel the sting of the sun every time I came out of the shade so I tried hard to work the areas underneath some big old gum trees but there was little there. As I moved from this group of trees towards another I hit a patch in between and pulled a nice 1900 Britannia half penny, then an 1877 followed by an 1886 Britannia penny. I decided to give this area a thorough going over as it was spitting out some great early coins. My next signal was a 12:37 but it was a little flutey on one side but when you are on sites like these you have to dig every thing that is repeatable, another chip away at the ever hardening ground soon had the target out and according to my Profind hidden somewhere in the loose dirt. 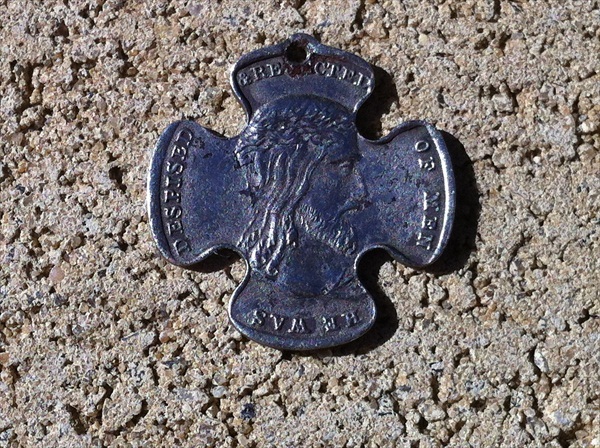 I brushed away some dirt and revealed a really odd-shaped object which looked very much like silver, it was a cross-shaped medallion with Christ on it and the words “He Was Despised And Rejected Of Men”. 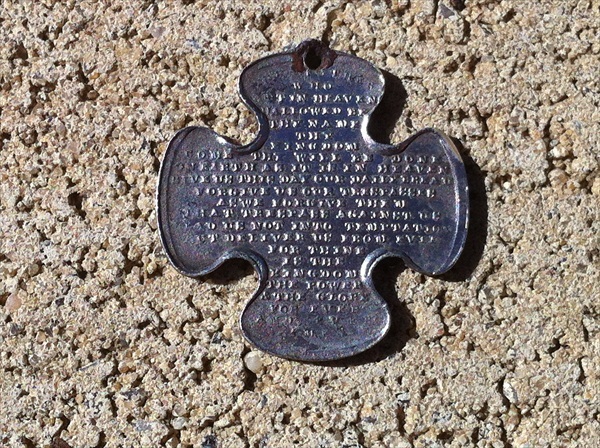 I had found these religious medals before but never a silver one, as I turned it over I seen that it had the complete Lord’s prayer on the back, what a great find. 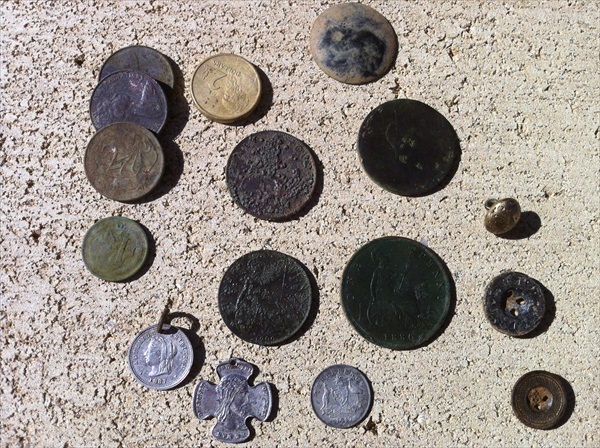 I stood up and ran the CTX back over the hole and there was still another target but this time it was a solid 12:37, as I flicked the dirt out another small silver disc came to the surface. I picked it up thinking it was a threepence but then read the words Adelaide exhibition 1887, another medallion that must have come from the same necklace, what a great couple of finds. 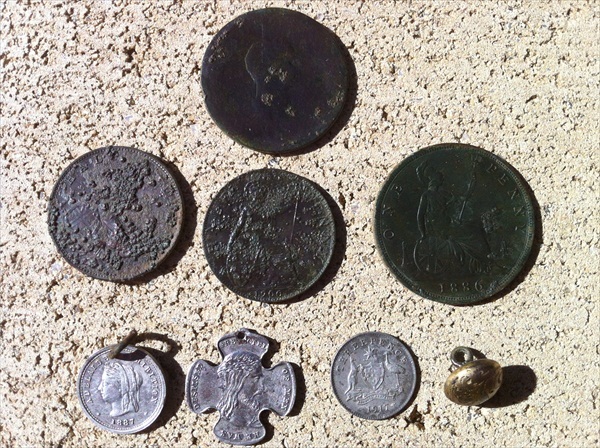 As much as I love finding old coins I really do appreciate and love these type of finds as the have so much historical reference to South Australia and always take me on a historical journey into our past. Adelaide’s 1887 Exhibition celebrated 50 years of settlement in South Australia, and showcased produce and manufactured goods from Australian colonies and selected overseas countries and it was also the celebration of the jubilee of Queen Victoria’s reign. The Adelaide Exhibition was modelled on the Great Exhibition of 1851, staged in the Crystal Palace in Hyde Park, London. 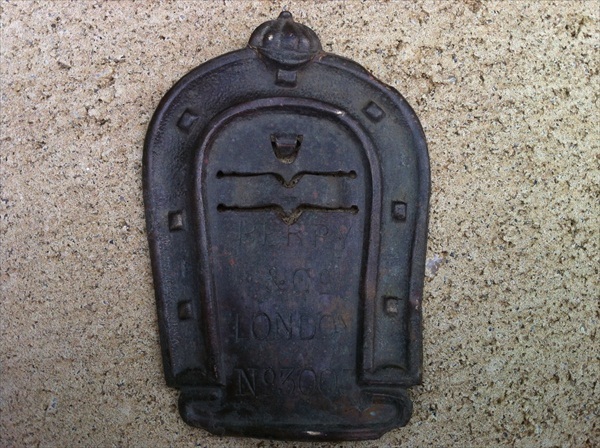 I kept hunting for a while but it wasn’t going to be easy to top these finds so I called it a day and knew that it would not be long before I was back to see what else was hidden in the dirt. 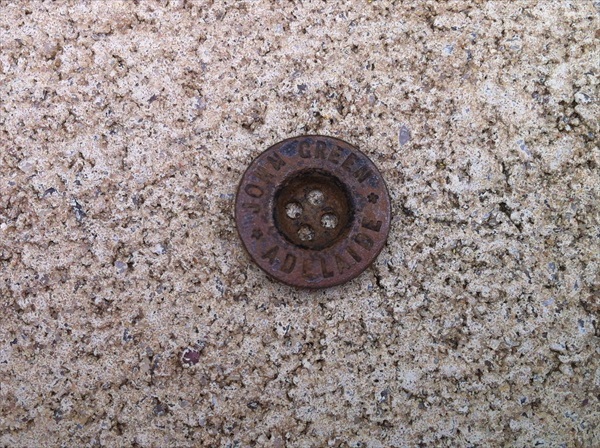 There is something special about spots like this that are literally minutes from the CBD that have cars only meters away going back and forth past all day while you are finding such amazing coins and relics. I often wonder what they are thinking as they stop at the lights and watch with curiosity for a few minutes, possibly thinking to themselves, what the heck could he be looking for. Happy hunting all and keep the coil to the coil because if you don’t you just simply wont find anything. A thought, people who are chronic complainers are simply afraid that they can’t make a difference, so stop complaining and start to think outside the square.